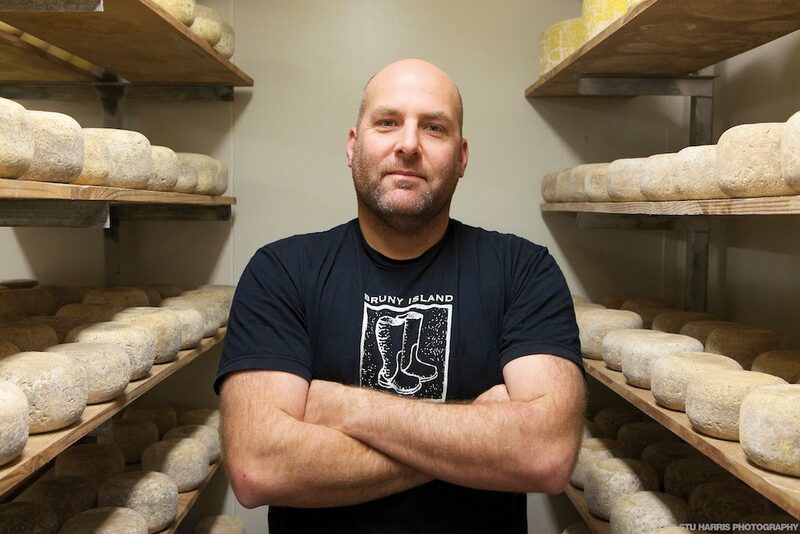 NICK Haddow, the inspirational cheesemaker and brewer from Bruny Island Cheese in Tasmania, has won global recognition for his book Milk.Made: A Book About Cheese. How to Choose It, Serve It and Eat It. Published by Hardie Grant Books, the book was named the winner of the Single Subject book category at the prestigious 2017 James Beard Awards – the Olympics of food books. Haddow Instagrammed an image of the medal he was awarded at a ceremony at Chelsea Piers in New York. Milk.Made shares his knowledge of making, serving and storing cheese at home, as well as more than 70 recipes. Accompanied by photographer Alan Benson, Haddow visited internationally renowned cheesemakers in Australia, France, the UK, Switzerland and the US, interviewing some of the leading cheese experts from around the world. Hardie Grant publisher Jane Willson said: “We’re thrilled for the recognition that the James Beard Award bestows on a book that we saw as a potential stand-out in an underpublished category. Credit especially to Nick Haddow for his unwavering belief in the power and importance of the subject, and to photographer Alan Benson, who trailed Nick on an ambitious shoot in Europe and the US, capturing cheese and dairy farms during a northern hemisphere winter.” Since opening Bruny Island Cheese in 2003, Haddow has quickly earned a reputation for excellence, as well as for a long time being the only legally recognised producer of raw milk cheese in Australia.